Raj Datta (yet another old friend, last seen at the outstanding KM India in 2009). Starts off with a UTube video on collective intelligence, one of the Don Tapscott case based presentations. [Four years old now which is interesting, OK there are still cases but there has not been a huge growth in cases]. Raj wants the focus to move onto human and relationship capital rather than process, technology and structural capital. Now quoting the Time cover You are the centre of the World. Individuals power the network. Are lurkers in social environments good or bad? Talking about the wikipedia (about time too, first to do so). Interesting, now talking about participation as a power law from low threshold to high engagement. Umm, would like to see data on that. Asking now how social software links to collective intelligence. Shows a truly wonderful picture (reproduced below) referencing back to my use of the term messy coherence. Now moving on to what are the forms of collective intelligence. Why is this relevant? Well, he gives several reasons [although i think his list is limited by the way] from physical proximity no longer being an issue, open access etc. A chart up showing traditionalists, boomers, Gen X and Gen Y (He knows I don;t buy this crap so says he doesn't necessarily believe it] aginst different styles of training, learning, feedback etc. His main point is that there is a tend to move towards a more collaborative collective environment. [OK buy that but there is not need for crude and nonsensical categories with no basis in fact]. Don't ask for justification immediately, its is about building infrastructure and culture only. Then we move onto idea nurturing and systematic innovation. 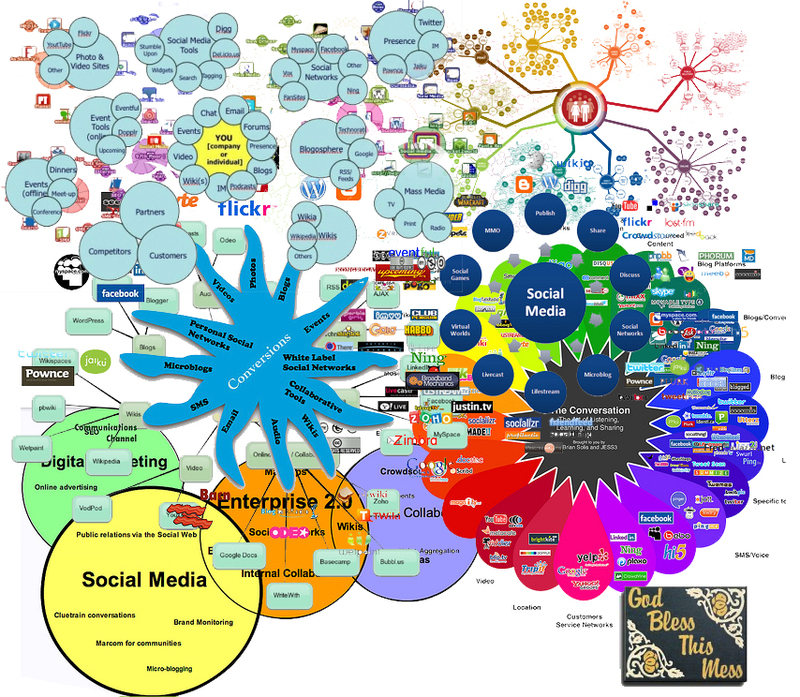 Some funneling here, uses mind mapping, TRIZ, perception mapping etc. Aim to deploy 24% of ideas (his case I think). He is running a stimulus practice, anyone throws out an idea then see what clusters around it. They decide what they do and they decide when they release. Has 85 released, 350 in progress. 125 of those in the last year, its been in place for five years. Initially 9 so its grown well. People are putting in their own time which makes it more notable. [This is good stuff, although its upsetting some people, but they need it]. Executive support in India is far stronger than in the UK or the US. At KM India we have many GMs and VPs present, you never get that over here. It makes it easier for some of this stuff to work if you have that level of support. The key thing in Raj's work is that it allows practice to emerge, it doesn't impose ideal models and for that I can forgive him the Gen X/Y stuff. He also had the courage to attack the herd like approach in many KM people to crowd sourcing - well done!